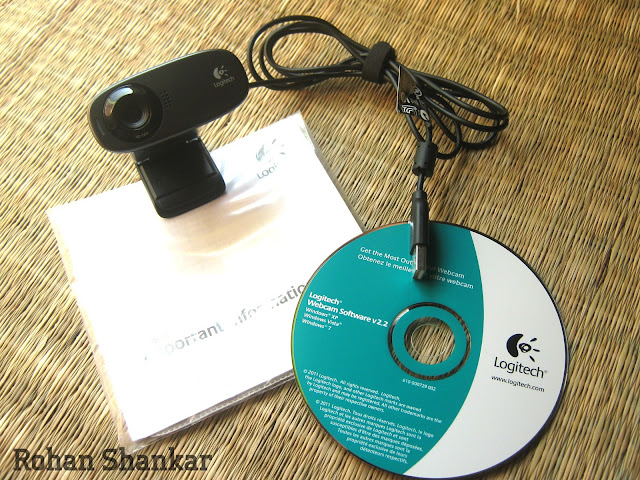 I was searching for a HD webcam for video-conferencing via Skype and then I came across the Logitech C310. It is a wonderful HD webcam for someone who needs to do some video calling and wants some quality in it. 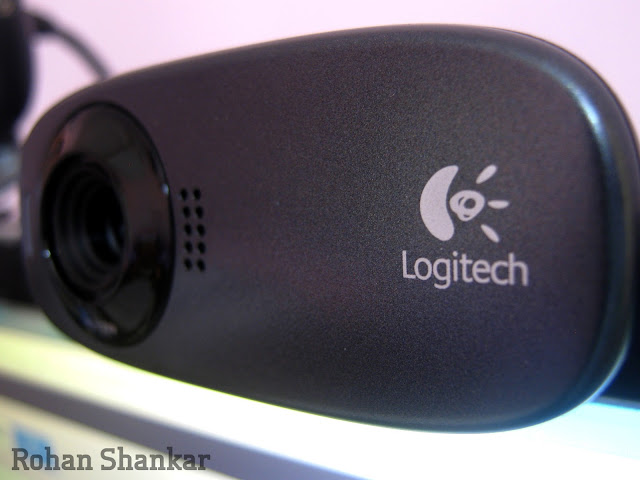 The C310 is a HD webcam capable of recording videos in 720p. You can also capture images of full 5 MP. That's the overall information, lets now jump into a detailed information. Inside the box, you get a User Manual, the Software CD, and the Webcam. The C310 is made out of plastic and is very light weight. It comes with a inbuilt mount, so that you can mount it on your monitor or your laptop screen. It has a inbuilt microphone which does a great job in capturing your voice. 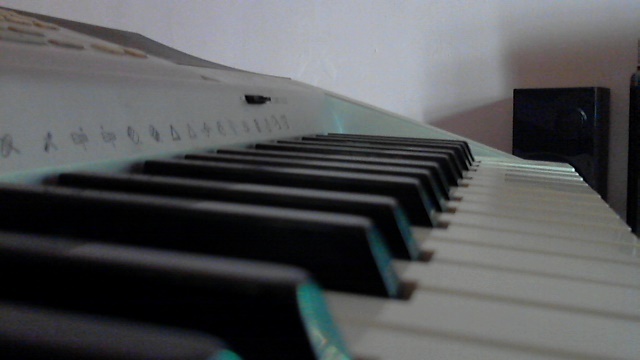 But the sound gets little choppy when you try to record your instruments like Piano. When I tried recording, the sound was good until I was playing the higher octaves but got choppy when I hit the basses.The video quality is great anyways, the only thing need to be corrected is the audio quality. If you want to do YouTube videos with this camera, I would suggest you to get a USB condenser microphone. 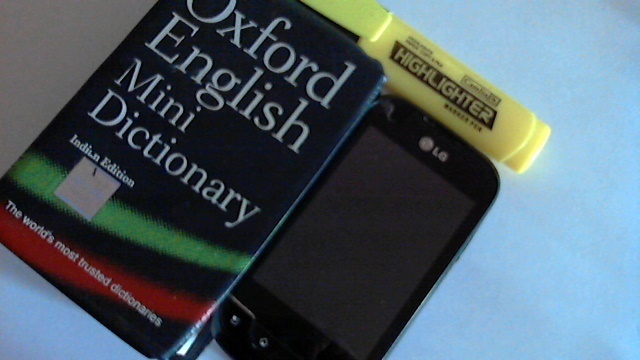 There is green LED indicator which turns on when you are recording or when the webcam is active. It is fixed focus camera which means that it won't be able to focus on things that you want. But its not a thing to worry about. It keeps everything in focus after 40 cm from the camera, which is its focal length. Some amount of sunlight falling on the keyboard. 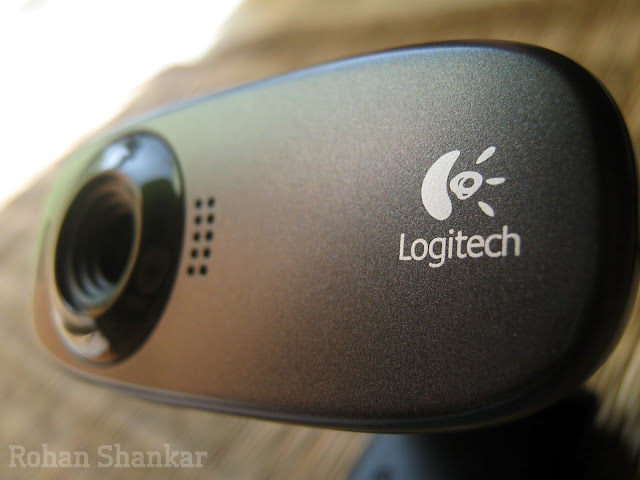 Logitech C310 is an excellent camera for its price. It comes with descent audio and video quality. It will be an investment that won't go in vain. I give it a thumbs up.